Lenin recognized finally that, although imperialism and the monopoly phase were indeed expressions of the global expansion of capital, the imperialist practices and the colonial administrations through which they were often pursed had come to be obstacles to the further development of capital. He emphasized the fact, noted by many critics of imperialism, that competition, essential for the functioning and expansion of capital, declines necessarily in the imperialist phase in proportion to the growth of monopolies. Imperialism, with its trade exclusive and protective tariffs, its national and colonial territories, is continually posing and reinforcing fixed boundaries, blocking or channeling economic, social, and cultural flows…Luxemburg argues in economic terms, imperialism rests heavily on these fixed boundaries and the distinction between inside and outside. Imperialism actually creates a straightjacket for capital–or, more precisely, at a certain point the boundaries created by imperialist practices obstruct capitalist development and the full realization of its world market. Capital must eventually overcome imperialism and destroy the barriers between inside and outside. It would be an exaggeration to say that, on the basis of these intuitions, Lenin’s analysis of imperialism and its crisis leads directly to the theory of Empire. 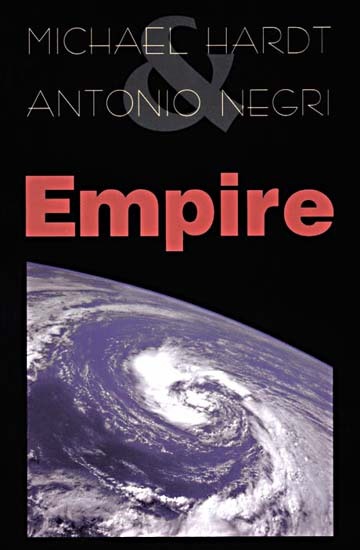 It is true, nonetheless, that his revolutionary standpoint revealed the fundamental node of capitalist development…either world communist revolution or Empire and there is a profound analogy between the two choices (Negri and Hardt, 233-234). I would still argue that we live in a time of imperialism and that, while it could be true that we are in Empire (or that we are headed toward Empire), the increasing militarization of the world by the U.S. and its continued use of “hard” and “soft” power to further extract more variable capital is a counterpoint to this. However, it could be noted that this over stretch of U.S. power is due to it trying to stem the “tide of Empire.” I’m assuming Multitude has an answer to these questions. Hardt, Michael and Antonio Negri. 2000. Empire. Cambridge, Massachusetts: Harvard University Press.